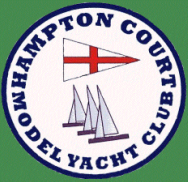 Hampton Court MYC played host to the first race in the 2018 M&S District IOM Championship on the 25 February. An impressive entry list converted to 24 boats racing on the day. Visiting skippers were greeted on arrival with bacon rolls, tea or coffee and complementary hand warmers. A delicious homemade soup was served at lunchtime to complement skippers' own food. Despite the forecast of extreme cold and possible snow neither materialised leaving us with a fresh breeze and sunshine throughout the day. The wind direction was unusual (ENE) which, to enable a decent beat to windward a ‘dog leg’ was needed halfway up the lake. Wind strength was inbetween that suitable for the top rig and second rig and fluctuated during the day leading to a record numbers of rig changes. 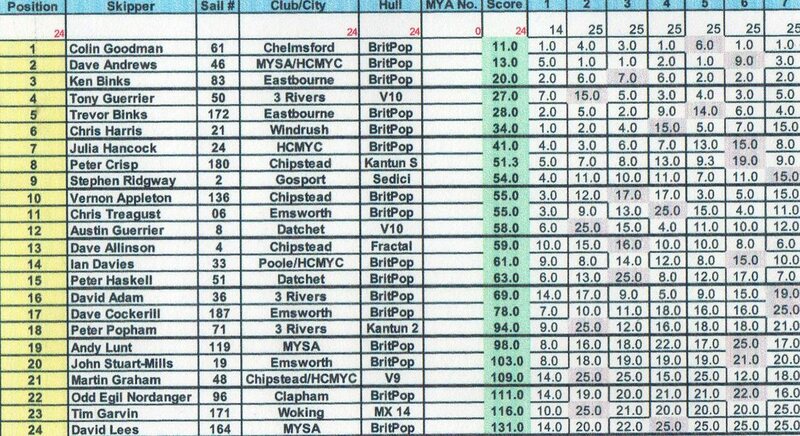 The fleet were sailed in two heats and our only out of District skippers (Chris Harris and Colin Goodman) took first places in the seeding races. Consistency was the game to play with Dave Andrews leading from Colin Goodman until a poor result from Dave (9th) in race 6 which meant that he had to count a 5th place in the seeding race. The net result was a win by Colin Goodman over Dave Andrews by two points . Things may have been different if Dave had chosen his second rig for the seeding race. The results for the next 4 skippers were close, Chris Harris (6th overall) came out badly in the last race and was forced to count a 15th place pushing him down the scoreboard . Overall, the racing was an encouraging start to the IOM District Championship for 2018 and everyone seemed to be thoroughly enjoying themselves. My thanks go to the race team and to those organising the catering for a job well done.